Based on reviews from 91 experts and 3,777 users. 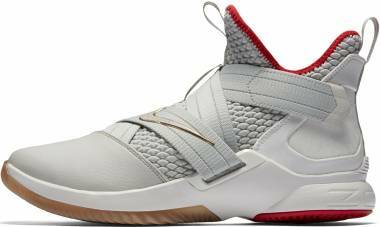 Learn how our rankings work or see our guide to beige basketball shoes. Updated Apr 2019. What does the color beige mean? Beige is usually described as a quiet, neutral, and conservative color. It comes in different variations such as buff, cosmic latte, cream, desert sand, ecru, french beige, ivory, khaki, mushroom, mode beige, oatmeal, tan, tuscan, and many others. On a positive note, beige is dependable and flexible especially when it comes to style and fashion. It is easy to pair with different types of outfit. Psychologically, beige is a warm shade that symbolizes plainness, serenity, and simplicity. Even so, some still think that the color is boring and bland. Beige basketball shoes are not so famous in the industry because they do not have the same basketball vibes as the black, red, blue, and grey models. Still, there are some wearers who prefer low-key footwear like cream basketball shoes. The main issue with beige basketball shoes is that they easily attract dirt, and the stains are difficult to remove. Here at RunRepeat, we include some tips on how to properly clean beige basketball sneakers and even those basketball shoes with straps. Adidas Crazy Explosive 2017 Primeknit. Adidas rarely manufactures men’s beige basketball shoes. When they do, it must be for a model so special. The Crazy Explosive 2017 Primeknit is one such model. 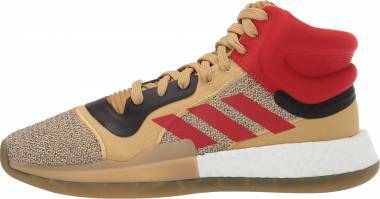 It is easily among the best performing basketball shoes of the Three Stripes, is released in Triple Khaki. It comes with full-length Boost cushioning for an explosive performance on court. This technology is made of blown-up thermo polyurethane that is molded into several small energy capsules, forming a styrofoam-like midsole. It provides the highest possible energy return as it absorbs impact. 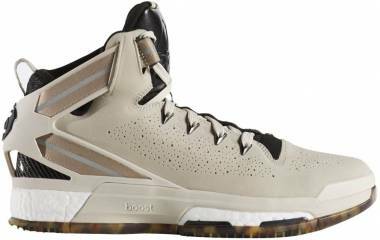 As for the traction, these beige basketball shoes feature a straightforward coral-inspired traction pattern. 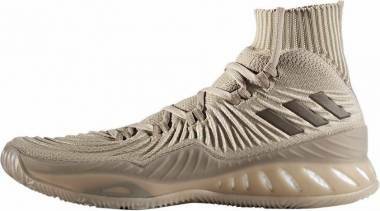 The high-top upper of these Adidas basketball shoes is made of forged Primeknit. It has an elevated wave pattern for durable and flexible movements. Nike Kyrie 3. 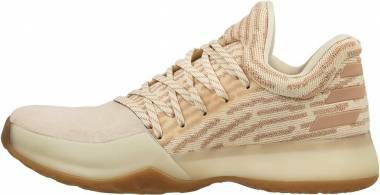 There are too many reasons to love these low-top beige sneakers for basketball. It features a durable Hyperfuse upper with mesh regions for ventilation. For responsiveness, the heel Zoom Air unit encapsulated in a lightweight Phylon midsole. The outsole comes in a unique traction pattern that features independent suspension pods for fast transitions on court. With these characteristics, these cream basketball shoes come with a forefoot strap that connects to the Flywire cables embedded in the midsole. The Nike Kyrie 3 is a top-pick basketball shoe for guards. A recommended colorway suitable for both on court and casual wear is the Ivory/Pale Grey/Light Bone pair. If a gum outsole is preferred with a dark upper, the Academy colorway works well too. Nike LeBron 14 Low. 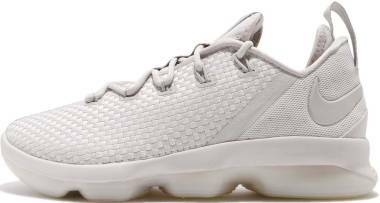 One of the best looking and expensive low-top basketball shoes in the market, the LeBron 14 Low is always highly anticipated. 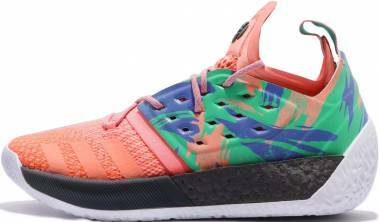 It comes with a Phylon midsole embedded with four hexagonal units of Zoom units. The hex pods created deep flex grooves in the outsole matched with a digital traction pattern. These cream basketball shoes do not veer away from the traditional lacing system. With the help of the Flywire technology, a glove-like fit is achieved. 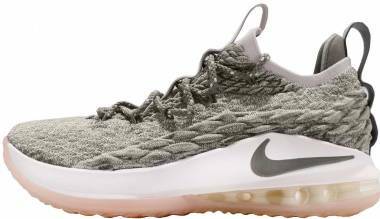 The forefoot woven fabric and mesh rear panel compose the upper of the LeBron XIV Low. 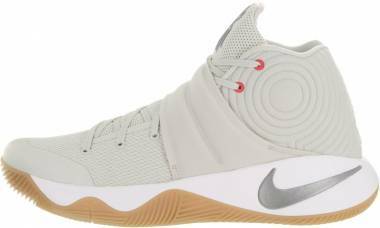 The pristine design of these beige sneakers for basketball are aesthetically appealing for casual wear. The cleanest and best colorways are the Khaki and Light Bone. 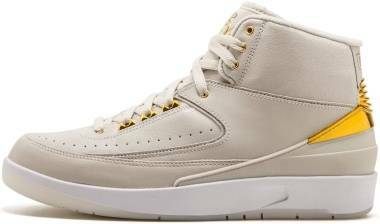 Air Jordan 2 Retro Decon. 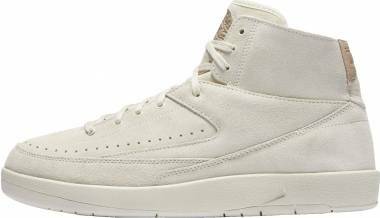 For high-top fashion, the Air Jordan 2 Retro Decon Sail is a great beige basketball shoe. Unlike typical basketball sneakers, these expensive lifestyle retros do not come with foams in their inner walls. Instead, it comes with Air Sole units to deliver a noticeable response as wearers strut the runway. The solid rubber outsoles feature a traction pattern that combines circles, lines, and rectangles. 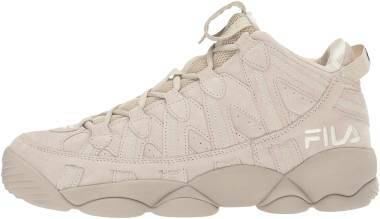 The suede upper of these men’s beige basketball shoes have midfoot perforations. These hotties are best worn with loose shoelaces; paired with clean baggy pants, plain white shirt, some neutral colored jackets. Jordan Jumpman Pro Quick. 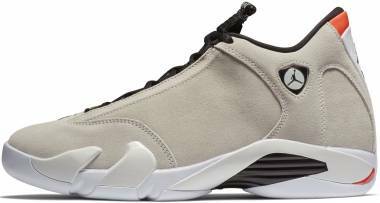 The Jordan Jumpman Pro Quick was originally designed as a performance shoe in 2008. 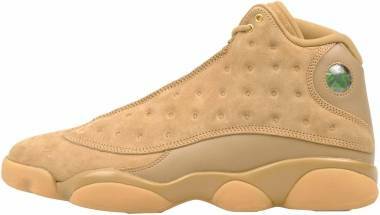 Fast forward to a decade later, it’s re-released as beige basketball shoes, and they’re must-haves if you are a huge Michael Jordan fan. A heel Air unit is embedded in the foam midsole for responsiveness. The solid outsole rubber comes with the herringbone traction pattern. 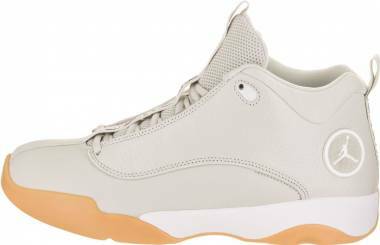 For that expensive and elegant look, the upper of these men’s beige basketball shoes boasts a mesh tongue, synthetic leather construction, and tumbled leather side panels. There will be more beige basketball shoes, especially with the rise of basketball-inspired sneakers. The seemingly endless release and re-release of the Air Jordan classics are surely things to always look forward to. As an example, the Air Jordan 1 will be released in April 2019 in the Sail/Dark Mocha/University Red-Black colorway. This version is in collaboration with Travis Scott. Dimitrije Curcic has been playing basketball for over 22 years. Like Manu Ginobili, he’s a left-hander whose moves led him to a better career-shooting percentage than the Argentine himself. After playing professionally for 10 years, Dimitrije moved to coaching for two seasons before he became a basketball statistician for StatScore, and FanSided contributor for the San Antonio Spurs. 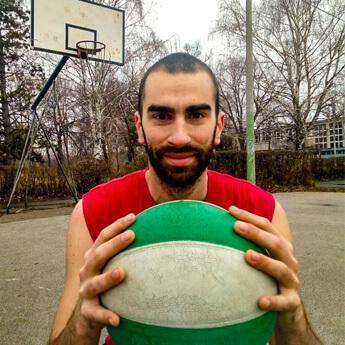 Dimitrije loves to tell hoop stories through numbers and graphics and has been featured on Fansided, FiveThirtyEight, Eurohoops, and TalkBasket among the others.